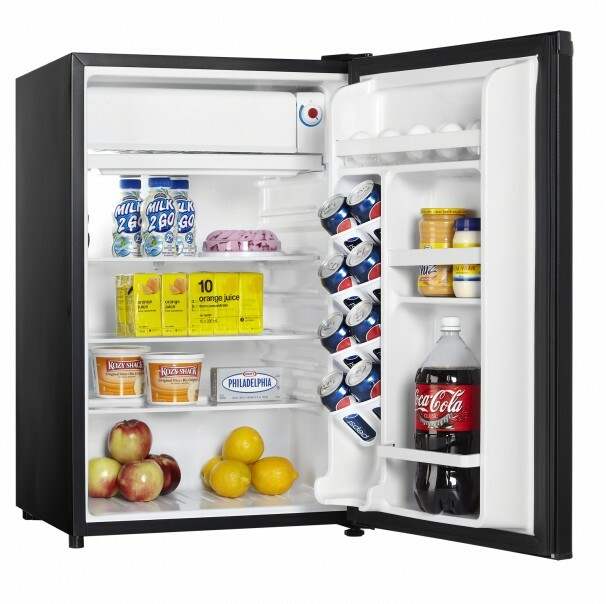 When you’re in need of a counter-high refrigerator that offers a large storage area in a compact space there’s no need to look any further than Danby’s DCR044A2BDD model. 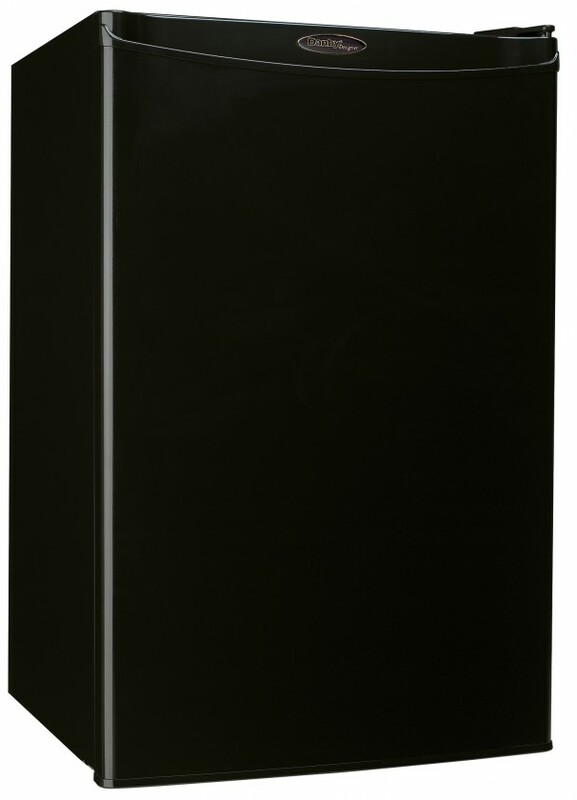 This high-tech unit offers 4.4 cubic feet (126 L) of refrigeration capacity and is ideal for workshops, dens, rec-rooms and lunchrooms etc. It’s outfitted with a convenient CanStor beverage dispenser for your favourite drinks and has more than enough room for tall bottles. The 2.5-shelf design offers maximum storage versatility and the appliance is controlled by an accurate mechanical thermostat and simple semi-automatic defrosting system. 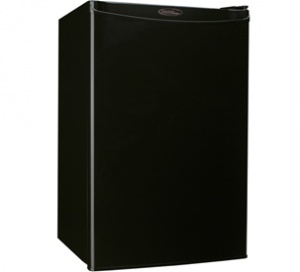 If you need to freeze certain types of foods or are simply looking for a place to make and store ice cubes this appliance meets the requirements as it also features a full- width independent freezer section. Since this attractive model is also Energy Star rated it won’t raise your power bills. 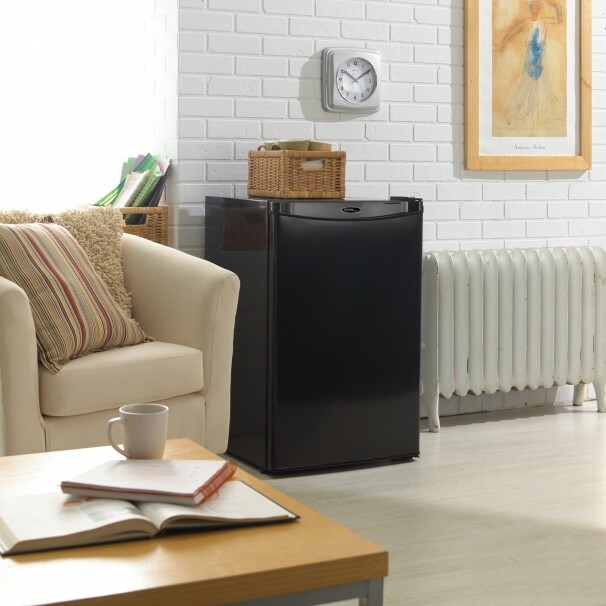 This classy compact fridge can be found in white, black and smudge-free spotless steel finishes, making it suitable for any style of existing décor. In addition, it comes with an integrated door handle with a convenient reversible door hinge for both left and right-handed opening. It comes with a generous 18-month warranty on parts and labour with in-home service.